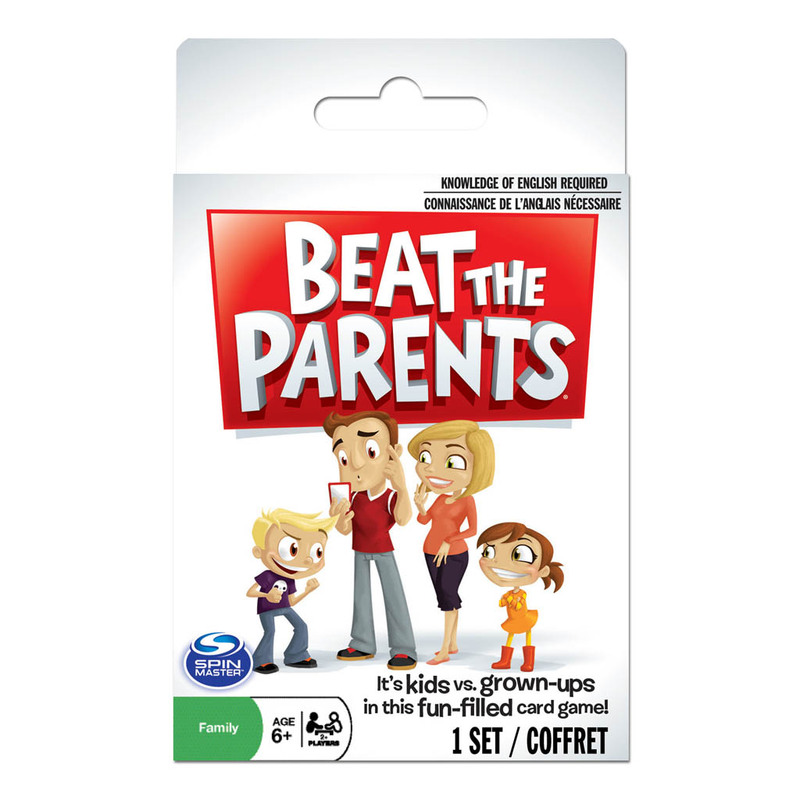 Get all the fun of Beat the Parents in a card version! It's kids versus grown-ups in this fun-filled card game! 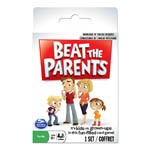 Get all the fun of Beat the Parents in a card version! Do your parents really know everything? Or do the kids call the shots? Beat The Parents puts your knowledge of the other generation to the test! Answer tons of funny questions as you try to be the first to collect 5 cards and win. It’s kids versus grown-ups in this fun-filled card game!